Building Hope in Big Lake! Strong Tower Family Ministries commitment to our friends in Big Lake Russia continues. Our team witnessed firsthand the tremendous work of the Lord being accomplished with Russian orphans and street children in the Siberian town of Big Lake. Ernst Toerien, his wife Betsy and daughter Nadia serve institutionalized orphans and homeless children during the summer months by providing them a safe & secure home during their stay. The Russian government all but shuts down during the Summer leaving children in orphanages with little support. Ernst has been committed to seeing the Russian experience change by sharing the Gospel with the children for years via various ministry outreaches. 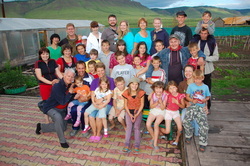 The Lord led him to move his family and set up “Summer Camp” in a remote village in Eastern Siberia. Children from nearby villages and towns are sent from the local orphanages and shelters to experience Christ-centered activities designed to comfort them and build character. Long lasting relationships are forged that result in lives changed for the Kingdom of God. Strong Tower's mission of serving children in dangerous situations is well matched to the Big Lake mission because the children there are some of the most forgotten children in Russia. Due simply to the remote location, these children do not have the opportunity afforded others by both local and international ministries. However God has laid the foundation by providing an in-country missionary with an obedient heart to serve. It is our desire to assist the work performed at Big Lake by devising effective plans designed to meet the immediate and future needs of their mission. Summer Campers overwhelm the property. During our 2012 visit, we witnessed their greatest needs. Support the camp and expand the facilities! The number of children and volunteers present was skywards of 50 or more. 2013 was no exception with 70 people housed on any given day during camp. The ministry is growing with God's help through the love of both international and local Christians! Strong Tower is committed to standing alongside our brother and sister in this work by raising funds to support the daily operations associated with each camp. 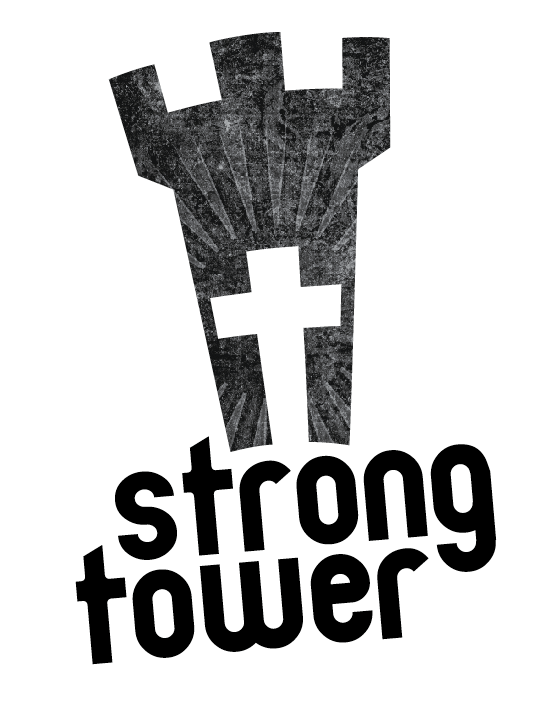 In 2014 Strong Tower's gracious donors helped provide much needed funds towards the 2014 Summer camp season. Ernst and Betsy were very grateful as were the many children served. This year, Strong Tower is prayerfully seeking assistance for the 2017 Winter Camp season. The winter camp will take place during the period which school is in recess for the Christmas and New Year holiday. Your commitment to these children over the upcoming holiday season is greatly appreciated. To make a tax deductible Donation or become a Volunteer visit our Get Involved page. ​Additional information regarding this project may be requested via our Contact Us page. The Strong Tower team is delighted to trust in the Lord and lean not on our understanding so that the desires of our hearts align with His will.